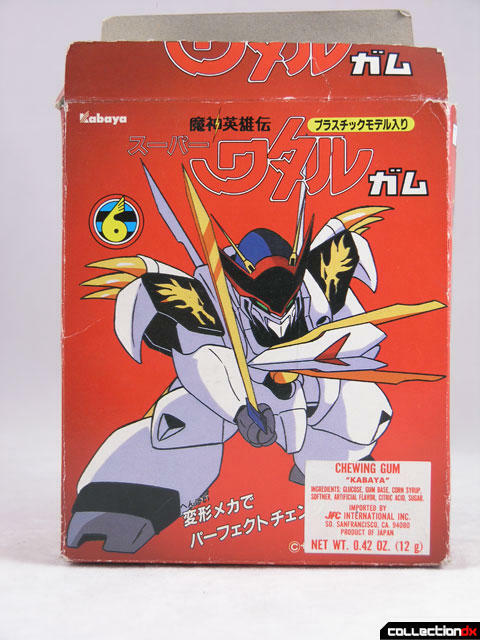 comes from the anime Heroic Legend of Demon Wataru (Mashin Eiyuuden Wataru 魔神英雄伝ワタル) which aired from 1988-1989 on NTV in Japan. 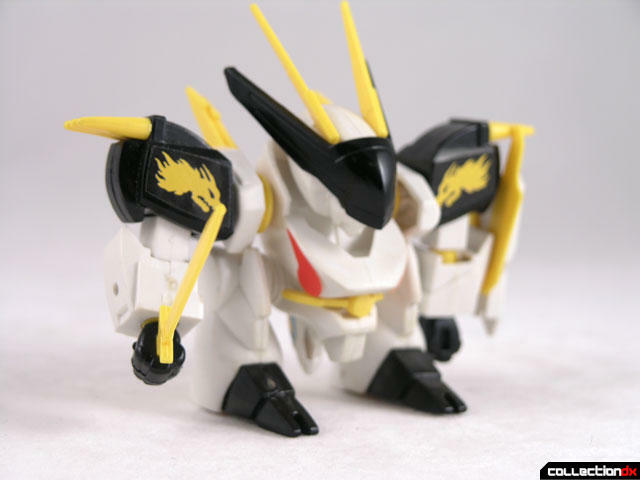 This version of Ryuohmaru is made by Kabaya, a maker of candy toys. This toy would have been sold in grocery stores near the checkout and would be packaged with candy. 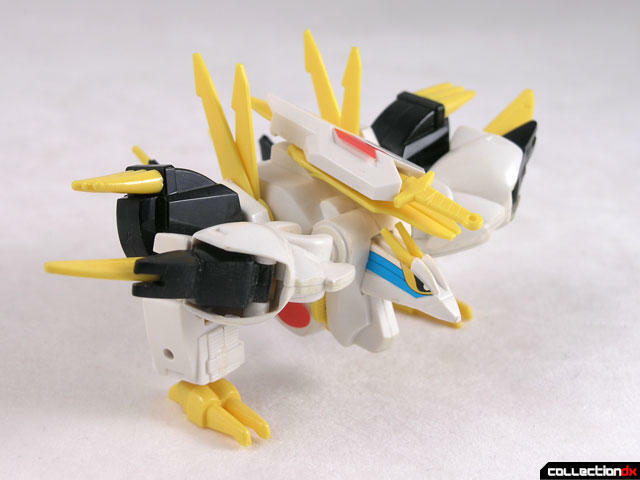 The toy is actually a model kit that requires assembly. There were two different kits for this set, each using the same box. A small hole is punched out of the side so you can see what color the kit is, thus denoting what toy you got. Although it is a candy toy, it's hardly cheap. The plastic feels nice and solid and once constructed you have a fully articulated toy. 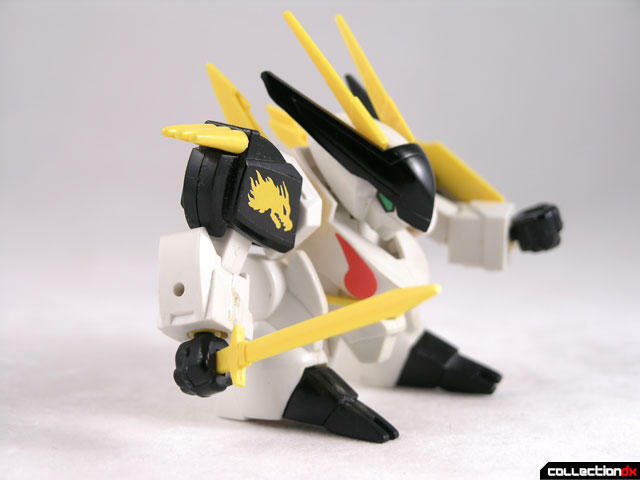 Ryuohmaru Is transformable between 2 modes. Special thanks go out to our own uplandmod for this toy! He got this toy as a child from an asian grocery store in the states, and it landed in my collection. Thanks! Wow. It looks just like the Plaction kit released by Takara. But I'm assuming its smaller. Very cool.